What a great find. We go through a ton of butter around here. 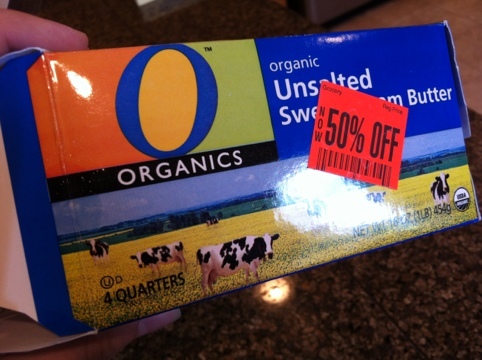 I buy it directly from a local farmer, who raises 100% grass-fed cows and it is really hurting the pocket book at $14.50 a pound (MIchigan) but it is almost orange and chock full of omega 3’s, so I’m considering it a health food 🙂 Gosh, if I could by grass-fed butter for $3.25 I would wait until May/June every year, when the grass is rapidly growing, and buy a whole freezer full!